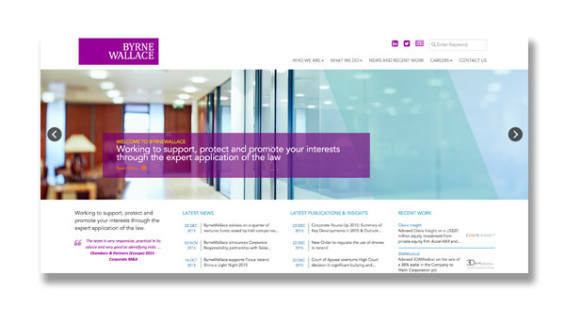 ByrneWallace is one of Ireland’s largest law firms with a team of 200 professionals. They are a progressive firm who are focused on supporting, protecting and promoting their clients’ interests. ByrneWallace required a consistent look and feel to their marketing material. 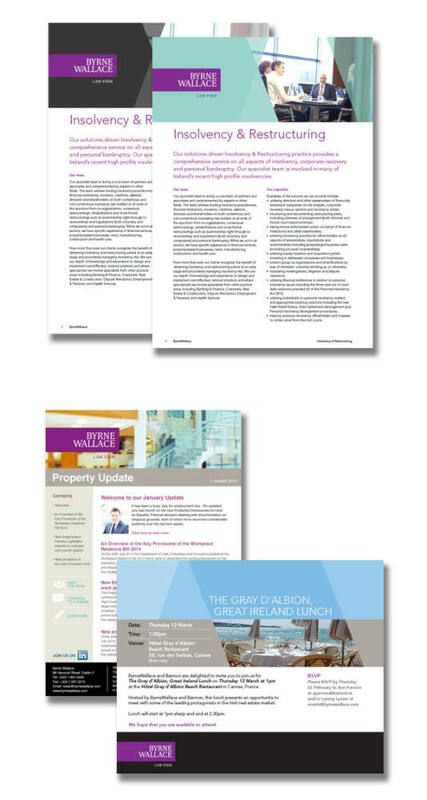 Working in tandem with an internal project to define the company strategy and positioning, Resonate designed a look and feel for the ByrneWallace collateral including brochures, flyers, ezines, presentations, reports and bulletins. 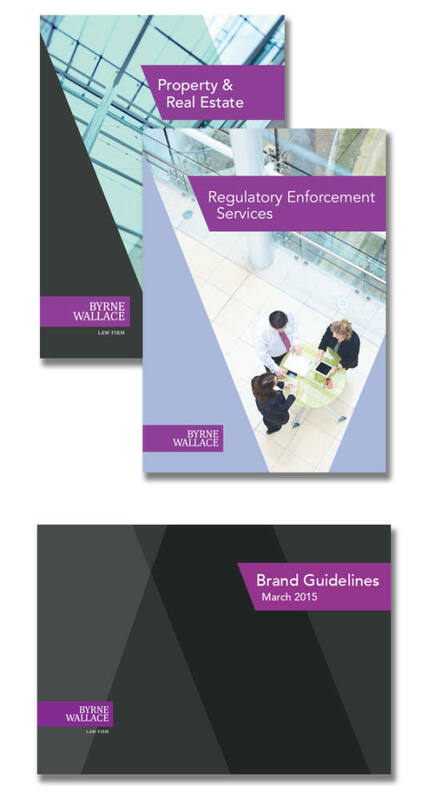 A full set of brand guidelines and tipsheets were also produced to help staff understand and use the new templates. The designs were brought to life with a new library of photographs by Kieran O’Donoghue.